This is an energetic platform that brings together some of the most interesting names in art. 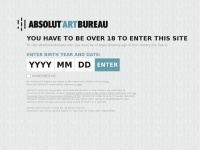 Combining talks by prominent with presentations of the latest events and awards, the ABSOLUT Art Bureau is a continuous collaboration between the world of art and ABSOLUT going back to 1985. 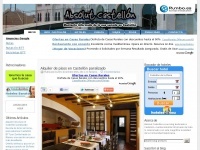 El webserver con la dirección IP 217.151.199.250, perteneciente a Absolutartbureau.com, es operado por Qbranch Stockholm AB y se encuentra en Suecia. El servidor opera exclusivamente la(s) página(s) web de Absolutartbureau.com.